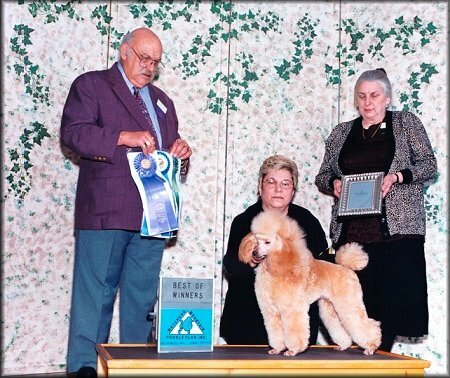 I started out showing Rosy myself and even got a 5 point major on her at Watchung Poodle. She went to live out her life with Carol Albrecht in Augusta, New Jersey. Carol and Rosy were great partners, even did a little obedience. Carol is now the happy new mother of Mary Kate. I know MK will just love her as Rosy did.